North Carolina Trial Law Blog: NC Senate Bill 33 and Loss of Liberty: How the NC GOP rolls back 235 years of independence and makes big PHARMA the new "King"
NC Senate Bill 33 and Loss of Liberty: How the NC GOP rolls back 235 years of independence and makes big PHARMA the new "King"
Two Hundred and Thirty-five years ago to the day, North Carolina was the first of the Colonies to authorize its delegates to declare independence from Great Britain. So how is this relevant to "tort reform" and the pending legislation called Senate Bill 33 in the North Carolina House? Well, this law, proposed by Rep. Johnathan Rhyne (R- Lincolnton), takes away an essential ingredient of Liberty of the people of North Carolina- The right to a jury trial. Rep. Rhyne's bill says that when a citizen is hurt or killed by a negligent emergency room physician, or nurse, or hospital worker, that injured person has no right to sue for negligence. Further, the bill says that when a citizen of North Carolina is injured or killed by a defective drug manufactured ANYWHERE in the world, that citizen can not sue the manufacturer if the drug has been "approved" by a state or federal agency. Taking away the "right to redress" or "the right to sue" is the same as depriving someone the right to a jury trial. If you can't sue, you can't get a jury. The doors to the court house are closed to these people. The Halifax resolves speciically address the right to trial by jury. 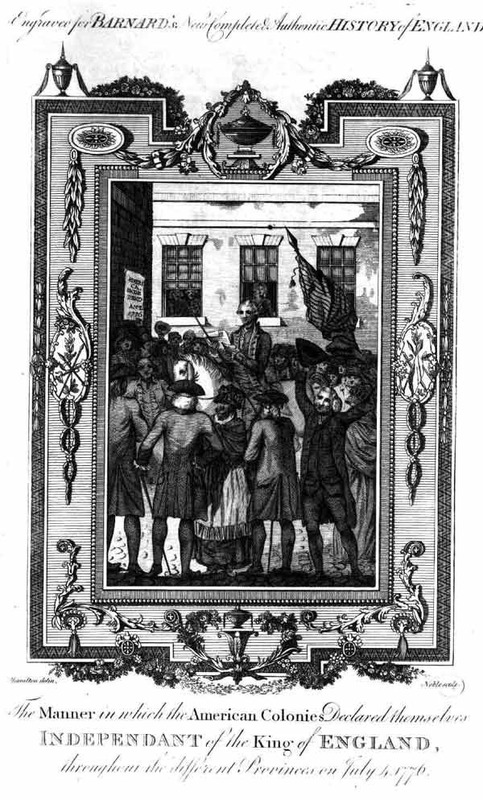 In the Resolves the authors talk about the King seizing "Ships belonging to America" which "are declared prizes of War" and that the colonies have been deprived the legal right to get these ships back or enter into a process of determining the legal rights to the ships: "And ...the United Colonies and their sincere desire to be reconciled to the mother Country on Constitutional Principles, have procured no mitigation of the aforesaid Wrongs and usurpations and no hopes remain of obtaining redress by those Means alone which have been hitherto tried." Rep. Rhyne's proposed legislation takes us back to the days of being subjugated to the King and the Crown. Of course, one might make the distinction that under Rhyne's law, the State of North Carolina is not "profiting" from the people. That is true, but Rhyne's law is even WORSE. Under Rhyne's proposals, the State of North Carolina not only denies "obtaining redress" but does so to the financial advantage of international drug companies and for-profit hospitals and corporate physician groups. This law is a glaring example of "Big Government" taking fundamental liberties of THE PEOPLE and redistributing the spoils of war to anti-liberty, big monied cronies. Thomas Jefferson, the author of the Declaration of Independence and the third President of the United States, said, "I consider trial by jury as the only anchor ever yet imagined by man, by which a government can be held to the principles of its constitution." Senate Bill 33 takes away the trial by jury of people injured by negligent doctors and also those hurt or killed by defective drug products. These people are completely deprived of their liberty to hold bad actors accountable for their wrongs. Why is the NC GOP rolling back our rights to pre-independence days? Why did certain colonists remain loyal to the King? Scholars say one unifying characteristics of Loyalists to the Crown during the Revolution was this: They had a long-standing sentimental attachment to Britain, often with business ties. Also known as MONEY. How much did Rep. Jonathan Rhyne take from Big PHARMA and Medical Lobbyists? Excerpted from "Historical Miscellanea: An Early History of North Carolina," North Carolina Manual, 1991-1992, published biennially by the NC Department of the Secretary of State. The Halifax Resolves were important not only because they were the first official action calling for independence, but also because they were not unilateral recommendations. They were instead recommendations directed to all the colonies and their delegates assembled at the Continental Congress in Philadelphia. Virginia followed with her own recommendations soon after the adoption of the Halifax Resolution, and eventually on July 4, the final draft of the Declaration of Independence was signed. William Hooper, Joseph Hewes, and John Penn were the delegates from North Carolina who signed the Declaration of Independence. like the comment above. victims should have the right to sue regardless of the circumstances. appreciate the resourceful blog. I agree with the previous comments, victims should always have the right to sue.